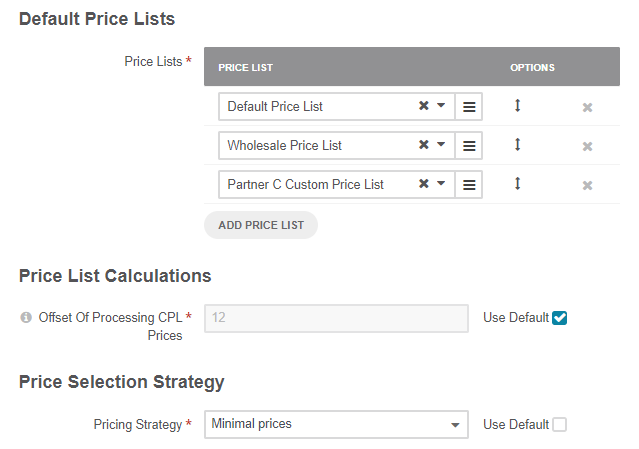 Enable/disable the default OroCommerce pricing management system. Set the price precision and price rounding strategy. 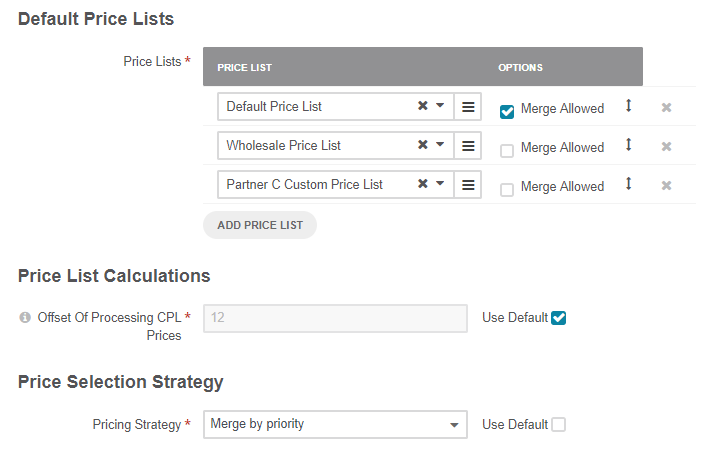 Configure default price lists, their priority and merge strategy to get the necessary resulting combination of prices that are shown on the websites, and for the customers whenever their price list settings fall back to the system default. Enable Oro Pricing — By default, this option is enabled. When disabled, all pricing stored in and managed by the default OroCommerce pricing management system becomes hidden from the application. 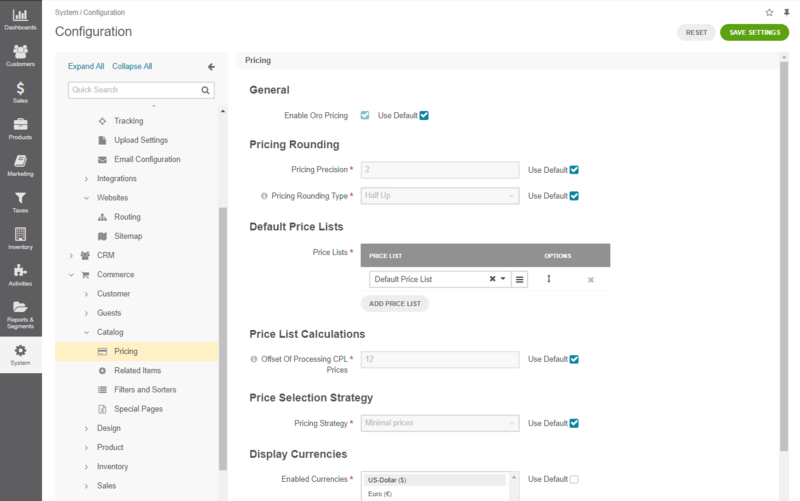 Disable Oro Pricing when you need to introduce a custom pricing management system for storing and fetching prices.